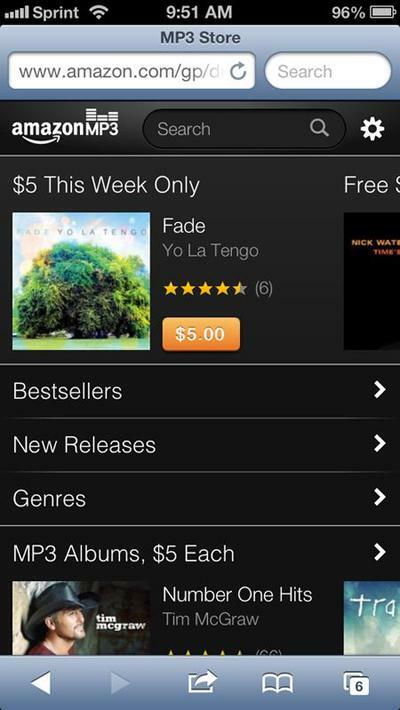 Amazon announced on Thursday that its Amazon MP3 store is now available for iOS users. The company isn’t providing an app, however, and instead has created a website that’s optimized for use with the iOS Safari browser. Any purchases are saved to a user’s Amazon Cloud Player account, instead of on the device directly, for playback on any other device. Amazon’s cloud player is free for storing up to 250 songs, but anyone who needs to store more (up to 250,000 songs) can pay an annual fee of $24.99.